Enhance your skills and earn your qualifications with the help of our Queensland based, hands-on training. Our simulated site facilities allow you to earn your ticket with the full support of our experienced excavator training team. 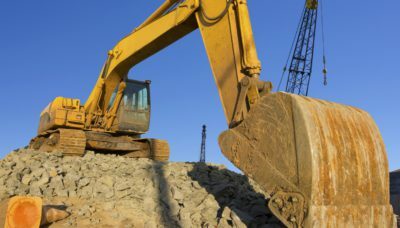 An Excavator ticket with Major Training Group is a nationally recognised qualification that will give you the skills to operate this machinery on a construction site or a building site. The Excavator ticket will also qualify you for jobs in transport, mining and agriculture. The holder of an excavator license is highly sought after in the construction industry. Without the right qualifications you are ineligible for a variety of building and construction jobs. With a valid excavator license you become a more viable candidate in a variety of employment scenarios. We offer flexible options that let you learn on the job. We provide training across QLD in areas including Brisbane, Sunshine Coast and Gold Coast. Whether you need us to visit your Brisbane worksite, or you would prefer to visit one of our QLD centres, there are a variety of options available for you. Written and practical assessment including all training materials and a hi-vis vest. Students are trained to a competency level suitable to achieve all elements of the Excavator assessment. Exceptional quality training and materials including log book, training plan, full assessment and training manual are provided. • Students complete the mandatory informal Excavator training on the job or at their current employment. • Includes a written assessment on completion of formal training. For experienced and competent Excavator operators on completion of formal training. Call us on 1300 790 822 to discuss your options. We provide our services from Sunshine Coast to Gold Coast and beyond, so get in touch today to begin your journey to upskilling. Upskill for a job in the earthmoving industry with an Excavator ticket from Major Training Group. Major Training Group is your genuine training partner and we know the earthmoving industry. We offer a range of earthmoving courses including Bulldozer, Bobcat, Backhoe and Front End Loader. Or broaden you skills with a Certificate III in Civil Construction or a Certificate III in Surface Extraction Operations. Whatever your career goals in the construction industry, Major Training Group will make it happen.